The Salt Anthology of New Writing features short stories, flash fiction and poetry from the winners and runners-up of this year’s International Salt Prizes. The deliciously tactile covers of the print edition contain a host of great up and coming writers as well as some more familiar names. What I love about this book (in addition to the touchy-feely cover) is the heady mix of work that were selected during the judging process for this year’s prizes. Salt’s annual anthologies of new writing showcase the best in short fiction and poetry from established and up-and-coming writers from around the world. This new selection of winners and runners-up from the inaugural International Salt Prizes has been chosen by judges and publishers, Chris and Jen Hamilton-Emery. The contributors come from Canada, India, Ireland, the Netherlands, the United Kingdom and the United States of America, reflecting both the wealth of new writing and the extent to which English has become a world language: transcending national boundaries and building a global community of literary practitioners. My story, Storm in a Teacup, is set in a greasy spoon cafe in Bridgenorth in 1973. Both the proprietors and patrons, all of them in various stages of falling in, out of, or over love, are about to witness a tiny miracle that will, if they just let it, profoundly change their lives. I am particularly happy to see this story do so well as, during the drafting process, I was worried that I might not be able to handle such a large cast within the confines of a short story, but luckily, Sid, Alice and their regular customers told me just what to show. The feedback I’ve received for this one, from both readers and prize judges, made all the writer’s anxiety worthwhile. As well as winning a runner-up slot in the Salt Short Story Prize, Storm in a Teacup was a Carve Esoteric Award winning short story in January 2013. It will be reprinted as part of my debut collection of short fiction, Looking Out of Broken Windows(Salt), due out in 2014. 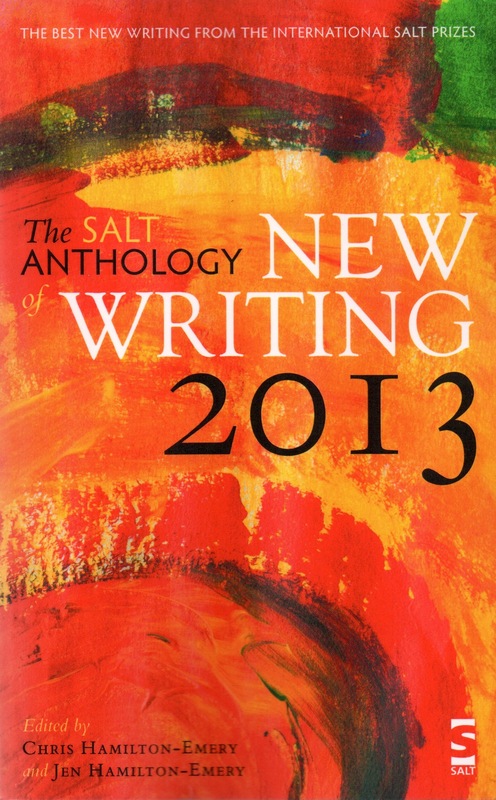 The Salt Anthology of New Writing is available directly from Salt Publishing and on Amazon.